Vernon Loeb, the journalist who co-wrote Paula Broadwell’s biography of General David Petraeus, has confessed to being the “most clueless man in America” for never realizing the two were having an affair. Vernon Loeb, a Washington Post reporter who covered the Pentagon, was the ghost-writer on Paula Broadwell’s effusive All In: The Education of General David Petraeus. Colleagues raised an eyebrow at the exclusive access David Petraeus gave to Paula Broadwell, he dismissed any questions, he said. In a column for the Post, Vernon Loeb said he found Paula Broadwell ambitious, driven and intelligent. He said he questioned David Petraeus letting her into his inner circle, but explained away his own concerns with realization the two are alike in important ways. Both David Petraeus and Paula Broadwell are fiercely competitive runners and both a Ivy League-educated West Point Military Academy graduates. But, Vernon Loeb admits, his judgement was flawed. “My wife says I’m the most clueless person in America,” he wrote. Vernon Loeb said signs were there, but he always dismissed them. “Female colleagues of mine weren’t shy in remarking about Broadwell’s good looks and her affinity for flashy, cocktail party attire even at staid national security conferences,” he wrote. 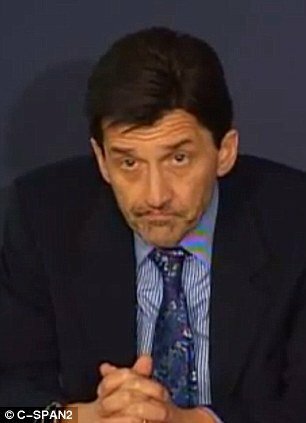 But, Vernon Loeb said, Paula Broadwell spoke warmly about her husband, a surgical radiologist in Charlotte, North Carolina, and she “clearly adores” her two young sons. The Washington Post journalist says he wrote the book from the basement of his home in Maryland based on the notes and emails collected by Paula Broadwell on her reporting trips. Paula Broadwell edited most of the manuscript to add her own take on David Petraeus’ command in Afghanistan – including much of the highest praise she communicated throughout the book.